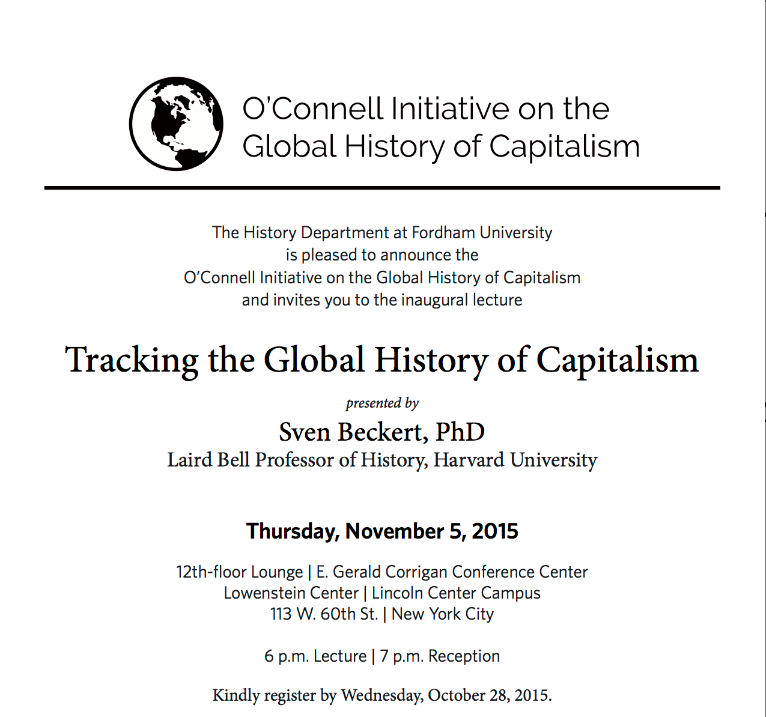 Just a reminder that today is the last day to register for next Thursday’s major event inaugurating the O’Connell Initiative, Sven Beckert’s talk on “Tracking the Global History of Capitalism”. The talk is at 6PM at the Lincoln Center Campus and a reception will follow. Come along and hear one of this country’s most exciting historians talk about the importance of the global historical perspective! You can register for the talk here.